Animated GIFs are a "plague" that continuously reminds me how on Earth do we still put up with a "last-century" obsolete technology to provide short animated images, instead of forcing everyone to agree on a new, more efficiente, standard for it. But as people say, "if you can't beat them..." Today I'll let you know how you can easily create a animated GIF anywhere, without any extra tools. 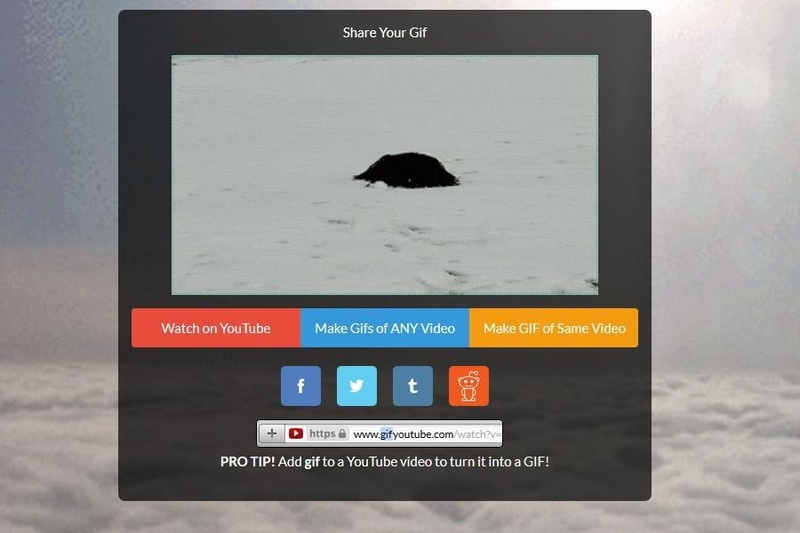 Then you just need to select the starting position and the duration for it (with a realtime preview of how it will look like), and then go ahead and create the final GIF that you can share or download. Can't get any easier, can it?